One of my biggest passions in life is my two sighthounds, Josie and Edie. And they’re two very lucky hounds as I provide them a brilliant life but that isn’t the case for all dogs out there, especially sighthounds. The business of greyhound racing is a cruel, horrifying industry and it’s still something that is legal in the UK and seemingly not something that is going to end anytime soon. And then there is the Spanish Galgo’s which are used for the mass hunting of hare every year and once hunting season is over they are disposed of in some of the most awful ways imaginable. One of my biggest dreams is to create a sighthound sanctuary and also an at home boarding service. Because if you have a long hound you will know they’re not your standard dog and wouldn’t fair well in typical boarding services. There is still so much stigma around sighthounds, especially greyhounds and it breaks my heart to see such gentle a gentle loving breed misjudged so much. Something that I’ve found frustrating since having Josie and Edie is the lack of choice out there for long dogs and dogs who have sensitive stomachs. 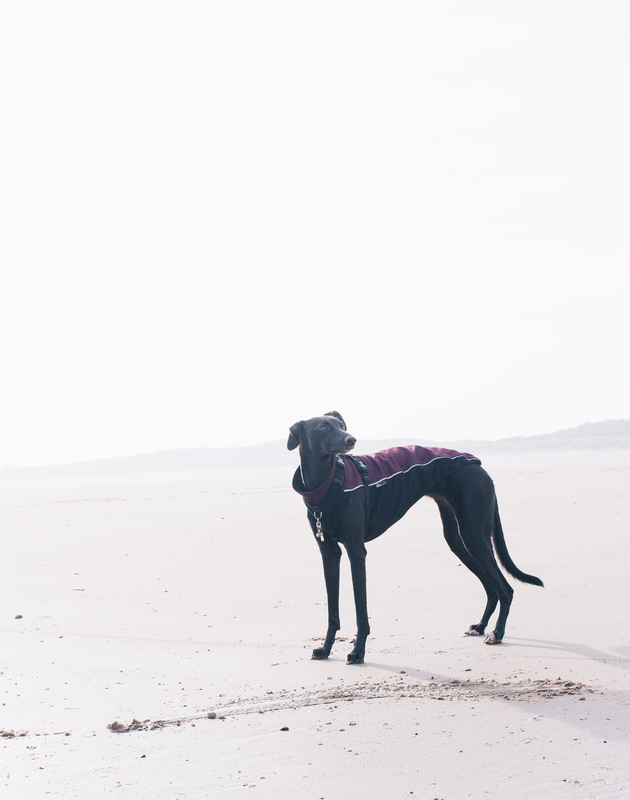 Sighthounds are dogs that do require a coat, they have single layer fur and a very small percentage of body fat so for most of the year they need either a fleece or a coat to make sure they’re not shivering as soon as they step out of the house. I’d absolutely love to found a coffee shop/dog boutique that has a wide range of well-considered products for every type of dog as well as treats that are actually good for them as most on the market are filled with absolute rubbish. There are so many small businesses that I adore to shop from for the girls and I’d think it would be incredible to see them in real life. Where I live I don’t find that there are too many dog-friendly cafes and if I’m going out for lunch I want to take the hounds with me. Something that I’m very conscious of doing is always taking the time to stop and talk to people when I’m walking the dogs as you have no idea whether or not you might be the only person that they speak to that day. So often we’re in a rush that we forget that 20 seconds of conversation might completely change how someone else’s day goes. If I was able to I’d love to spend time with vulnerable and lonely people because more often than not, all they need is a conversation and someone to listen to them. Maybe someone to help them with their food shopping or even just go for a walk. I often think about how good it would be to arrange a monthly walk for anybody who enjoys walking but is too scared to do it alone. I’ve already been to university once and got myself a First class degree in photography which is something that I am incredibly proud of. But I always think about going back to education and what I’d do and I think I’d study to be a vet, it was my childhood dream but it’s something that I would absolutely love to do now. I know you’re never too old to do something and can always find a new career path but university is now something that is completely out of reach for me financially. With one set of student loans to pay back, there is absolutely no way I could afford to do it again as much as I’d love to. Something I wish for in general is more affordable further education as with student tuition fees tripling it’s not something that is available to so many people at all now. what would you do if money were no question?